I had dreamed up four ideas for the launching of VIDA purified water, as part of my plans to grow the Big H brand from a regional business and place it on a national stage....with focus on promoting the natural, healthy beverage products that we had in mind to extend our product and market range. My brother Big-h Juices liked this idea more, so we went with it. We wanted a grueling adventure event that would showcase the natural beauty of Belize and our healthy products...with potential for attracting international interest. The first persons I went to was John and Martha August....owners of Marthas Kitchen. John is the son of Peter August, one of my dads best friends and compadre, both involved in the organization of very big horse racing events in San Ignacio in their time. Martha is my cousin....and their restaurant and guest house was the bee hive for tourists in downtown San Ignacio, where river canoeing tours had already sprouted. They loved the idea instantly....and promised to help in whatever way they can. They then introduced me to David Simpson...who had started a small DAVIDS river canoing and caving tour operation....and Dave introduced me to Tony's, who was also doing some canoe rentals and tours. These guys had grown up on the river and had a lot of knowledge of the Cayo district river....but we needed organizational and leadership skills as well. At the time, my best friend was Alejandro Habet....who managed Pepsi Cola Belize...and he at once agreed to assist with seed money of $3,500....with the agreement that only Pepsi and Carib beer products would be sold (Pepsi was agent for Carib beer in Belize at the time), along with Big H products, at the various points along the race. We decided to go meet with Rene Villanueva Sr and Jr to draft them into our plans, as a major event needs a powerful media machine....and we chose their annual Love FM Valentines party at BTL park. Their eyes almost popped out of their heads....and they instantly agreed to come on board...and for the power of Love FM to be used to promote and broadcast the event. This was very instrumental in the building of this event. John August then took me to meet Peter Pacz...an ex-British soldier that had married a Cayo-gial and returned to Belize and started a guest house and PACZ TOUR operation in San Ignacio. He agreed to help, and he took me to meet Mike Green, an American ex-pat who worked for the San Ignacio Hotel at the time. 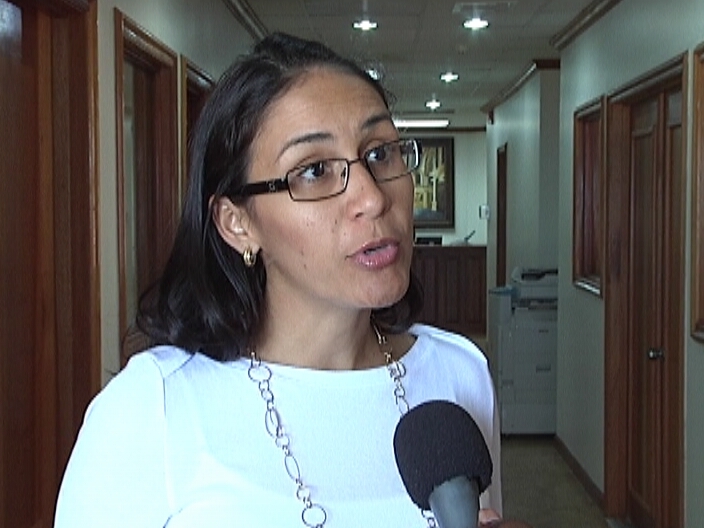 Mariam Roberson of San Ignacio Hotel agreed immediately to help, and to support Mike Greens activities in our committee...and to attract other tourism interest in the event. Both these men were very instrumental in putting together the rules and logistics for the event. Along with them, we coordinated with Michael Waight from Snooty Fox, Tony, Preck Preck, Pim, Clifford Sabala and David Simpson...to do a trial run of the entire course to see if it was physically possible and measure distances with GPS...and to scout the course for obstacles, dangers, etc. I went by road scouting for spots along the river that provided the best places for stops along the way...of the options, I decided on working with John Carr at Banana Bank, Mr Russel at Bermudian Landing, Ms Judith Fuller at Burrel Boom and to end the race at Belize Swing Bridge, with a big closing party at Baron Bliss grave site by the Lighthouse. We sent follow up teams to clear the course of debris and to place red flags in areas we considered dangerous and where participants would need to exercise extra caution. After attending a meeting of BTIA Cayo at Windy Hills....and hearing of their interest in enhancing the "tourism experience" by way of events-based activities.....I created the concept upon which the event would be hosted....a community participatory event based on three pillars (1) ecology and environmental awareness (2) culture and history of the Belize Old River (3) tourism development. This would make the event "more than just a race", bringing a wider range of interests to the table...which would allow it to survive long into the future, unlike the cycling events that focused more on racing and were in decline. This event would revive the Baron Bliss holiday that had almost disappeared...at the time it was simply another day off from work, with no organized community activities....similar to how Labor Day and Panamerican Day still are. All this while, I was approaching private business owners to sponsor the event...by way of providing station prizes along the race route in return for promotion of their business on Love FM advertising....and enlisting donors/service providers to help with key aspects of execution...Marthas Kitchen provided the breakfasts...Running W the lunches...and the camp site hosts would organize the dinners along with their local providers. The British Army and BDF agreed to support with referees and logistics support....the Belize Scouts with clean up....the Belize Red Cross with first-aid...Jeff, an American, came every year for the race, to help with first aid and safety. Many small business contributed $100 to $300 for station prizes. 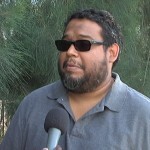 I wanted the event to depend more on a wide range of small Belizean private non-political interests...than a narrow set of big donors and politically-connected government contributions. That is what had killed many community events in the past...not in the least of which was the Baron Bliss Day harbor regatta, which had grown to depend on a single $50,000 per year subvention from government. 31 teams of three persons each participated in the first event. After listening to the exciting promotion and broadcast on Love FM, thousands came to the riverbanks to enjoy the race along the entire route. Glenn Godfrey got so excited by the time the event reached Burrel Boom, that he called me to offer a $1,500 station prize on behalf of his Belize Offshore, for the starting sprint on the third day, from Judith Fullers place to the Boom Bridge, where Glenn's riverside property is located. Thus started the bigger private sponsorship contributions from all over. Entire families came out with their grills and ice boxes to enjoy the riverside and the event...kids would climb the trees to the highest limbs that swayed in the wind, to be on their "reserved seat" to watch and cheer the racers...even the howler monkeys joined in the cheers....many villagers organized cultural events and prepared local cuisine for sale...at one point, a young participant cramped up and his team mates left him in the river....he strayed and got lost in the swamp and bamboo...scores of villagers volunteered to search day and night for him...luckily he was found a couple days later dehydrated, injured and hungry....but safe. What a weight off our shoulders that was. We partied in the night by fireplaces....slept under canoes....and woke with pain and fever from exhaustion...but we kept pushing on....with the help of many scores of people who appeared from nowhere to assist in any way they can. Even some of the spa's sent their staff to give free massage to participants and organizers. The community spirit of Belize was awaken. The entrance to Belize City was a most welcoming one....the BelCan, BelChina and Swing Bridge were overflowing with spectators....people filled every spot where they could reach the riversides.....every veranda on riverfront homes were crowed with cheering families....all generations were smiling for the same reason. The Cobb brothers from Bullet Tree crossed the finish line under the Belize City Swing Bridge first and took home the Kinich Ahau (Maya Sun God carved out of exotic wood and donated by Benquenia, Martha Lima who worked for New Hope Furniture at the time) Trophy and thousands of dollars and other gift prizes. It took us about a month from concept to execution....all those close to the event had come to know and appreciate "organizational power"......building with an efficient and effective institutional framework, with the various defined functions delegated to specific entities. And so....the La Ruta Maya Belize River Challenge was started. Belikin has released an epic La Ruta Maya promo. You might want to watch this one more than once. The Cultural Night is 2 weeks from tonight, and the race starts on Friday, March 7th. "Get ready for the biggest race of the year, the Belikin La Ruta Maya Belize River Challenge. See you at the race and along the stops. Belikin will be there, making it a party as always." An exhilarating four-day endurance challenge to the finish line, as “Belikin La Ruta Maya – Belize River Challenge” canoe racers vie for the win! Be among thousands of (cheering) fans, lining the Belize and Macal River bank during this spectacular 4-day race on March 7th, 8th, 9th & 10th, 2014. Witness this (170 mile) display of epic sportsmanship and celebrate in commemorating ancient Maya civilization’s legacy. 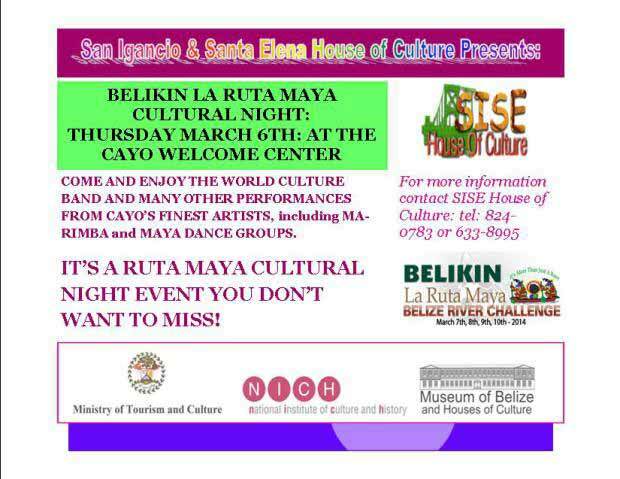 The festivities begin with a “Cultural Night” in San Ignacio, Cayo District, on March 6th starting at 7:00 p.m. This arduous battle among veteran and amateur teams starts and ends at different locations throughout northern Belize. On March 6th, 2014, at the Welcome Centre, San Ignacio – Cayo District, foodies can indulge in tasty cultural foods, while enjoying live performances. Day 1 - Race starts in San Ignacio, Cayo District (at 7:00 a.m.); ends in Banana Bank, Belize District. Dive into the finish line activities and discover the tasty cultural foods of Belize. Highlights at the finish line include, award ceremony, greasy pole contest and live music, to list a few. 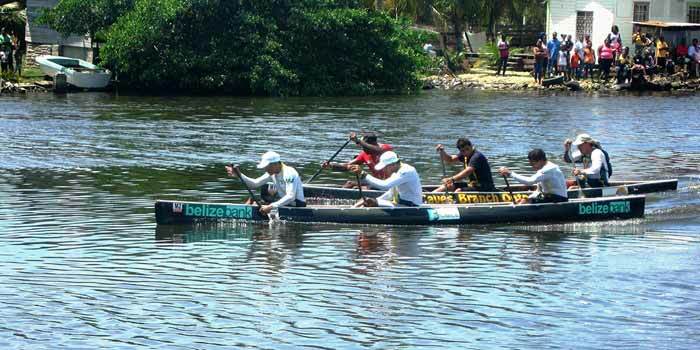 This year marks the 16th anniversary of the “La Ruta Maya – Belize River Challenge”. This annual event was birthed in acknowledgment of Belize’s ancient Maya’s use of the river for transportation and trading of goods throughout Belize. Be immersed; traces of our ancient Maya civilization still exist throughout Belize, such as spectacular temple formations, pottery, jewelry and traditions still practiced by our present-day Maya descendants. In recognizing the legacy of these remarkable people thousands of Belizeans and visitors come out to share in this event, annually. Join in the excitement! To learn more about what’s happening in Belize, contacts us via: [email protected] or call us Toll Free at: 1-800-624-0686. The yearly coming together of paddlers in San Ignacio for the Belikin La Ruta Maya Belize River Challenge is often a spectacle of colors and athletic abilities and with the growing popularity of the race come the inescapability of the advertising dollar. That’s right; everything from t-shirts to canoes and refreshments is being marketed by the major companies. 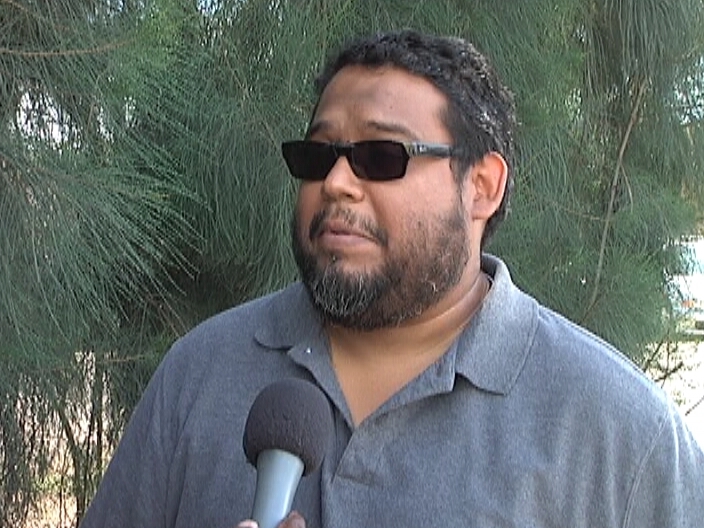 News Five’s Isani Cayetano spoke with several corporate sponsors about the growth in popularity of La Ruta Maya and what it means for the development of the sport. 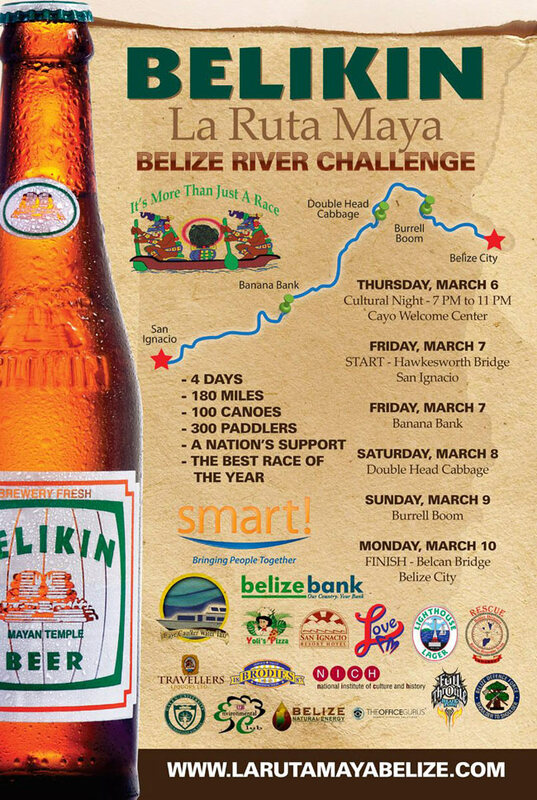 The sixteenth annual Belikin La Ruta Maya Belize River Challenge commences this Friday. While there will be many participating teams in various categories at the start of the four-day race, there can only be one winner. Some will complete the tiring, hundred and eighty-mile paddle and not place, others simply populate a growing enrollment of dropouts. Whatever the outcome, the Ninth of March Weekend, as it has come to be known, is a convergence of Belizeans from all over the country. …and where there are many, there is the ubiquity of marketing. Leading that charge is Bowen & Bowen Ltd. They assumed full sponsorship of the event in 2013. Juan Carlos Cuellar, Digital Media Coordinator, B&B Ltd.
Across the race, canoes are emblazoned with the logos of their teams’ respective sponsors. What the platform provides is full exposure for all companies participating in corporate backing. Taking advantage of the opportunity is Smart. 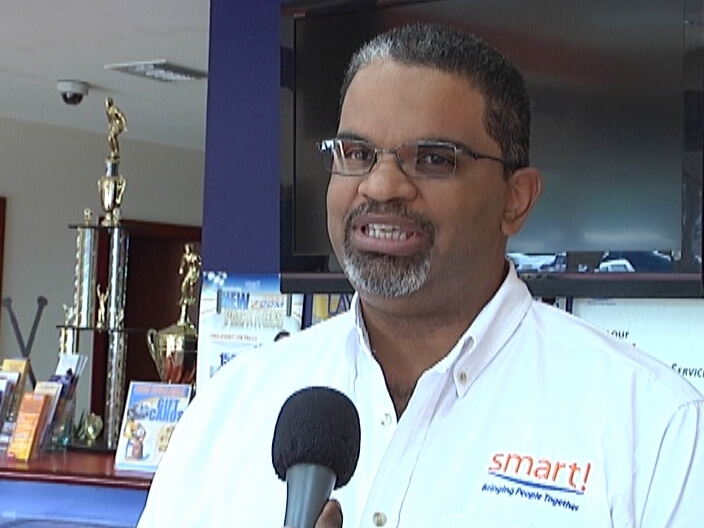 The Belize Bank Ltd. has been part of the event’s sponsorship since the challenge began back in 1998. Aside from being a lasting patron, the company also sponsors an individual team that has proven itself a force to be reckoned with on the watercourse. 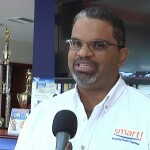 Misty Michael, Marketing Manager, Belize Bank Ltd. The race commences at the foot of the Hawksworth Bridge on Friday morning and concludes at the Belcan Bridge on Monday. Reporting for News Five, I am Isani Cayetano. 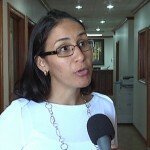 Aside from the marketing aspect of the Belikin La Ruta Maya River Challenge, there is the issue of citizens’ safety over the extended weekend. 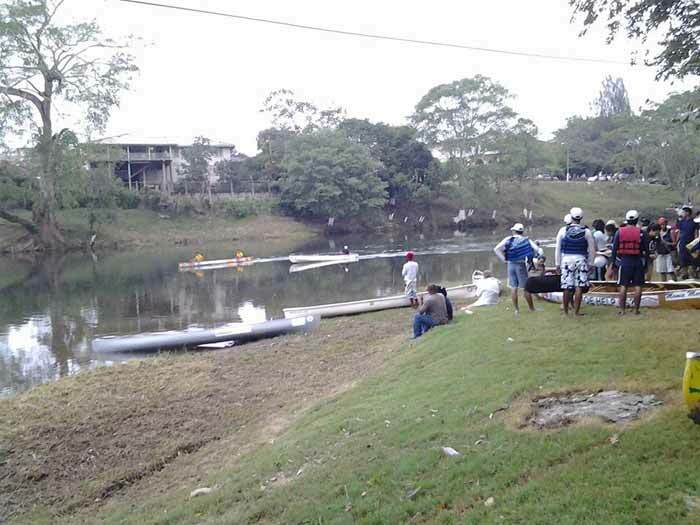 The finishing touches of the canoe race are being finalized and thousands of persons are expected to gather along the river banks to witness the anticipated event. 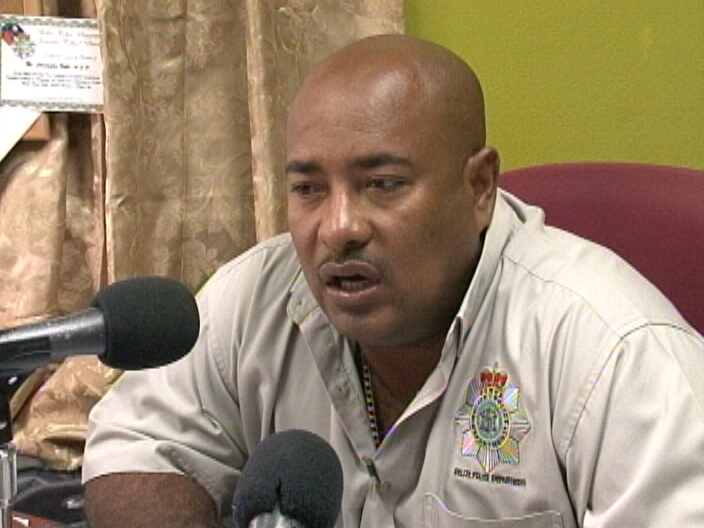 The third and final legs of the race are within communities in the Belize River Valley Area and under the jurisdiction of Rural Executive Officer of the Belize Police Department, Assistant Superintendent Christopher Noble. Noble says that officers from the rural area as well as specialized unit of officers will be brought in to assist and make the event as safe as possible. So stay tuned to our coverage of the event that begins bright and early on Friday right here on Channel Five during the Open Your Eyes morning show. On the banks of the Macal River in San Ignacio for the for the start of the La Rura Maya Belize River Challenge 2014. 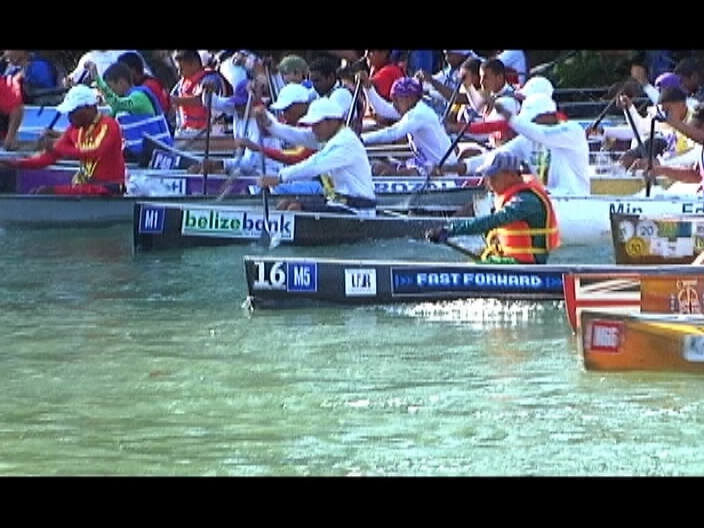 The final preparations are being put in place for the 16th edition of the annual Belikin La Ruta Maya River Challenge which is scheduled to kick off in mere hours. 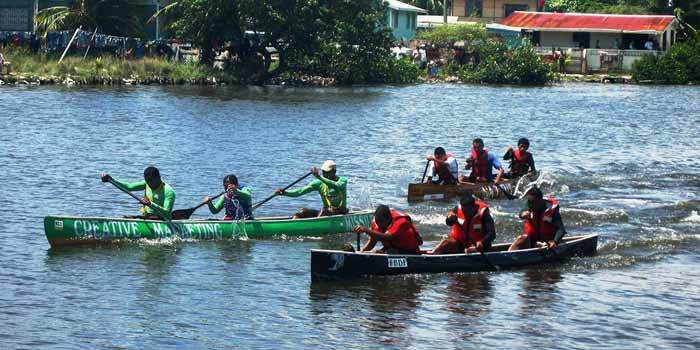 The four-day event will see paddlers make their way through from the foot of the Hawkesworth Bridge on the Macal River in the twin Towns of Santa Elena/Cayo to Belize City along the Belize River. The 180-mile race is set to kick off at 7:00AM on Friday March 7th and end on Monday March 10th, consists of four legs. During the first leg of the challenge the participants will make a 46-miles journey to Banana Bank Lodge outside of Belmopan. On the second day of the race, the paddlers will continue from Banana Bank Lodge to Double Head Cabbage Village on the Belize River for a total of 60 miles. Day three sees the contingency make their way 36 miles along the Belize River resting in Burrell Boom, and on the final day, the paddlers will go downstream the Belize River for 25 miles ending in Belize City. Conceptualised by Richard Harrison of Big-H Enterprises for the purpose of launching Vida brand purified water, La Ruta Maya Belize River Challenge made its debut on March 9, 1998. It was seen as an opportunity to bring many partners with similar interests together to build an event that could allow for promotional themes of ‘natural products’ identified with sports, endurance, nutrition, and well being. The underlying concept is one of a team of businesses and organisations interested in the environment/ecology, history/culture and the tourism potential which the Belize Old River offers as one of the great natural resources of Belize. 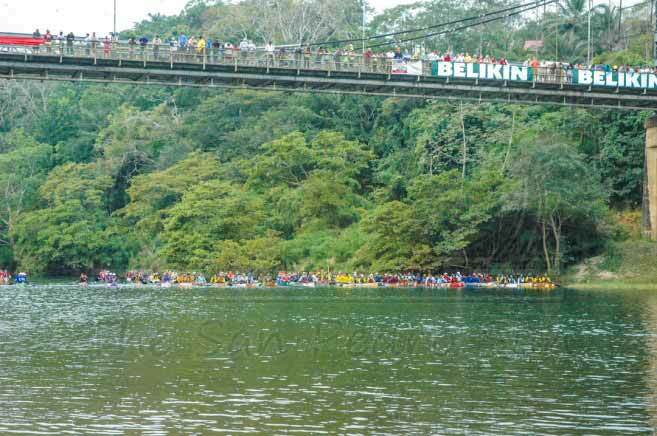 61 teams started the first leg of the 16th Annual Belikin La Ruta Maya River Challenge at the foot of the historic Hawksworth Bridge. With excellent cool weather, the race kicked off on time at 7AM following a short ceremony. A multitude gathered for the kick off of the competition along the banks of the Macal River in the twins towns of Santa Elena and San Ignacio. The first leg of the race will take paddlers from the Twin Towns, under the wooden bridge, along banks of rural communities such as Esperanza Village, Duck Run I and many more before coming to an end at Banana Bank Lodge. An all-female coverage team representing KREM Radio will be bringing live play-by-play coverage of the event to radio listeners across the country for the entire 4-day duration of the canoe race. One of the Belize Defence Force’s military nurses, Venice Lambert, will also be a part of the KREM team. She spoke about her role in providing the coverage. “We will be providing facts along with interviews so that radio listeners feel like they are there on the spot with us”, she said. The broadcasters explained that along the course of the race, they will be describing as best as possible, the sights and sounds of the race, which has risen in popularity since the first race was held 16 years ago in 1998. The KREM team is made up of three female journalists, which include Samiyyah Andrewin-Miranda, Marisol Amaya and Yaya Marin-Coleman, and two females with military backgrounds, Marilyn Marin and Venice Lambert, who will assist with logistics.